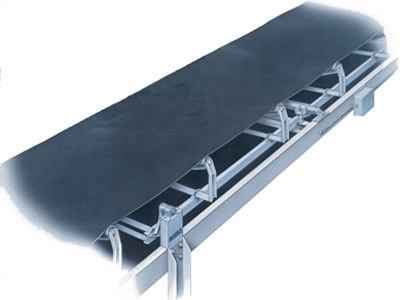 Model 465 | Belt Scale | MERRICK Industries, Inc.
± 0.5% to ± 0.25% or better when installed and maintained according to Merrick instructions. Two approach (± 0.5% accuracy) or four idler approach/retreat suspension. Provides for counterbalancing to reduce dead load and make more use of the load cells capacity range. Bracket Supplied for Tail (Non-Driven) Pulley Mounting for True Speed Pick-up. Connections for both Load Cell and Speed Sensor Wires.